Denon DJ have been a brand known for their innovation in DJ products, from the first twin CD player for DJs, to the first minidisc DJ players, dual layer CD players, motorized platters and USB DJ players. 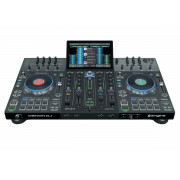 Denon DJ have recently re-emerged as lead innovators with the SC5000 Prime player, the first DJ media player with a Multi Touch screen and on board processing as well as dual layer support and built in performance pads. 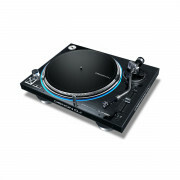 The other Prime products are the X1800 mixer with built in networking and dual USB interface and the VL12 turntable with high torque motor and unique suspension system.